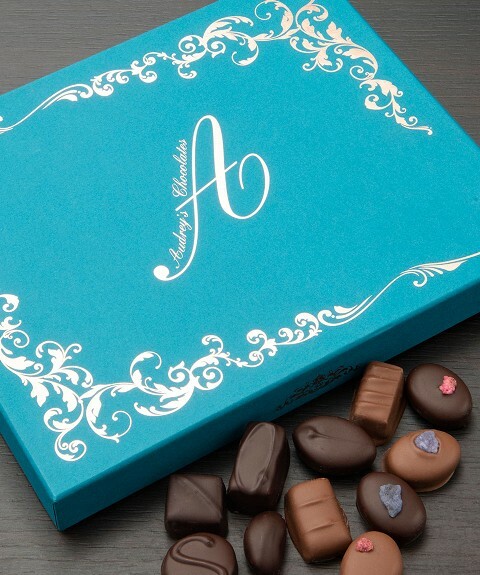 To celebrate the 70th birthday of Audrey's Chocolates we have a special limited edition box which has been made using rose gold foil on beautiful turquoise paper. Our dedicated staff are what makes Audrey's so special. This box is a celebration of their hard work and is made up of their favourites for you to enjoy. Our handmade dark selection. Double layered box filled with our dark chocolates and selected liqueurs including melon gin and cherries in brandy. 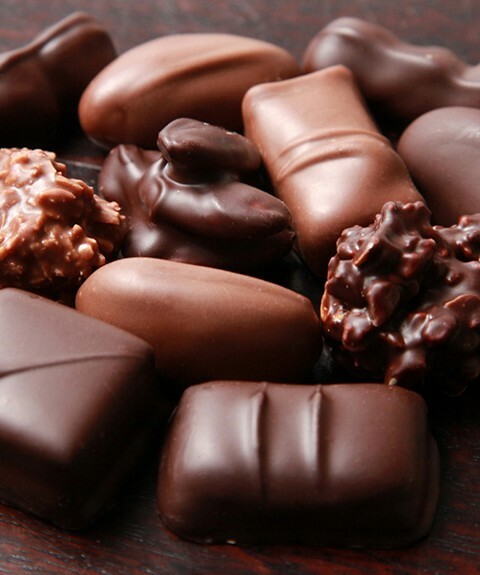 You select 8 individual chocolates from our menu. We then pack them into a clear tube finished off with a beautiful bow. 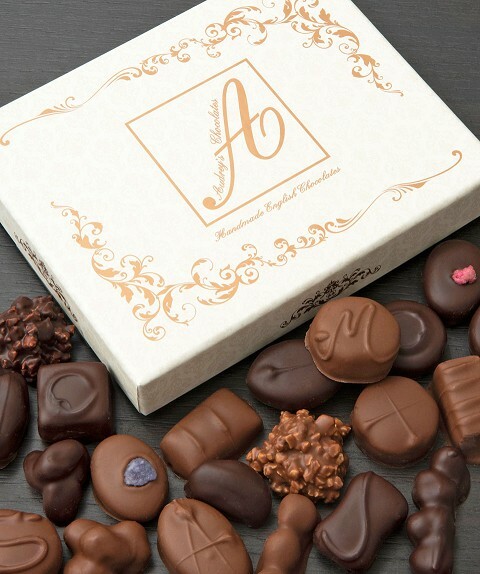 A full assortment of handmade; fondants, caramels, nougats, nuts and marzipans, all enrobed in milk and plain chocolate to make this a unique selection of chocolates. 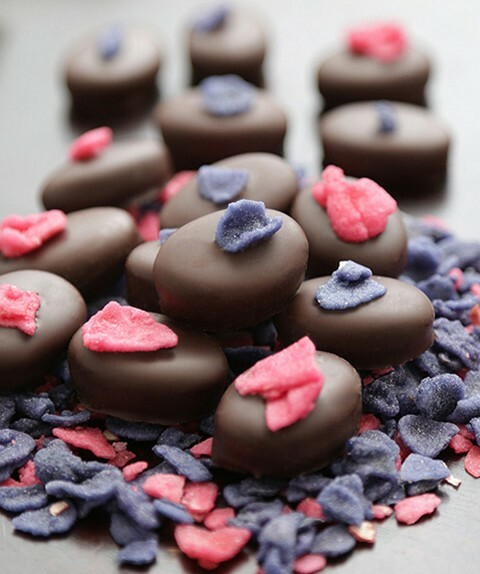 Traditional english rose and violet creams are handmade in our kitchen to our traditional recipe using the finest fondants, rose and violet oils, enrobed in plain chocolate and decorated with crystallized rose and violet petals. 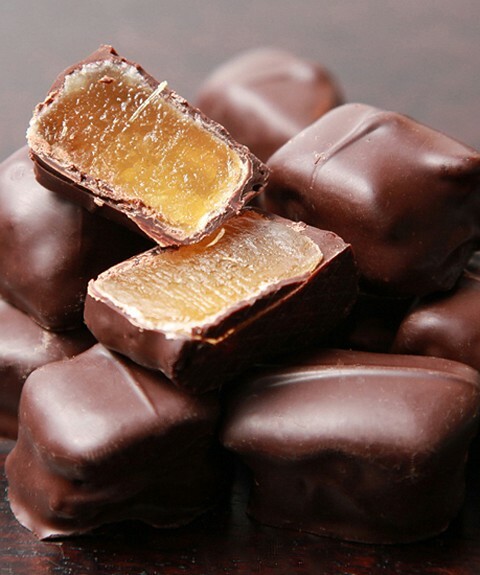 We use the finest Australian ginger which is cooked and prepared in our own kitchen then enrobed in chocolate. 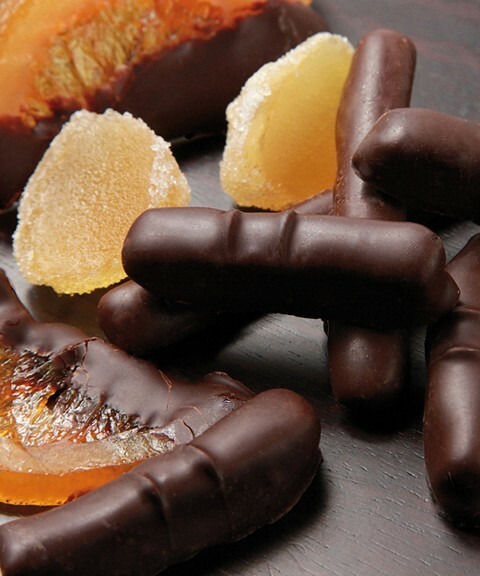 We believe that plain chocolate works well with the ginger. With the brazil nut, hazelnut baton and the almond cluster just to name a few, this box is for the true nut lover. In milk & plain chocolate. 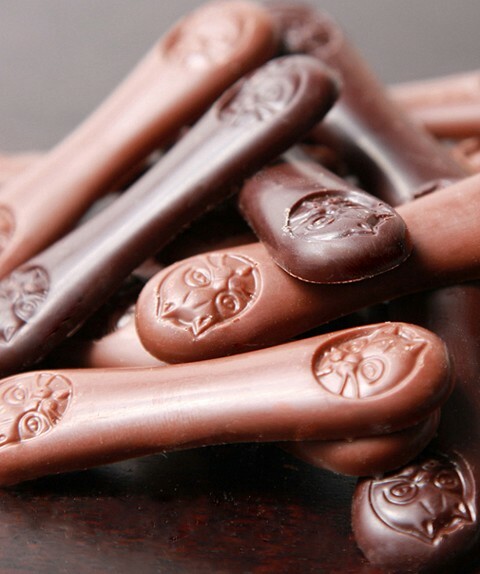 Also known to many as cat's tongues due to a cat being embossed onto the chocolate. 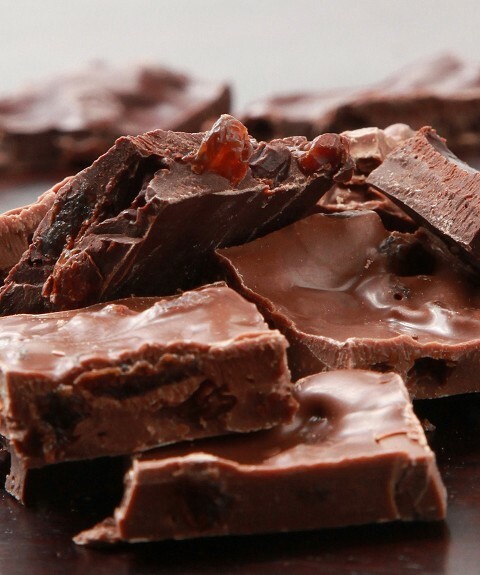 These are made using our finest milk and plain chocolate. 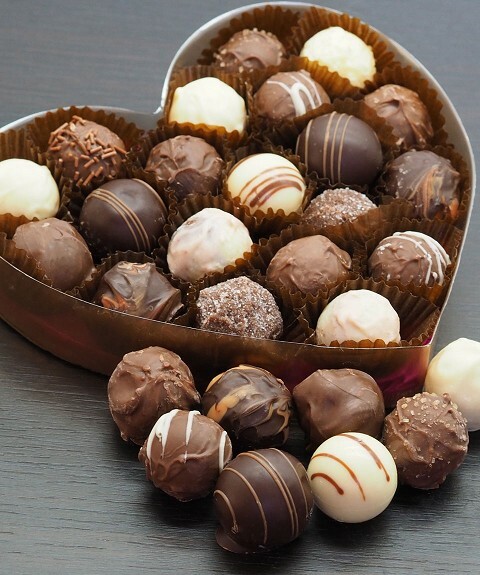 Ideal for the chocolate lover. Our fondant creams are flavoured with peppermint oil and lightly crystallized with sugar in the traditional way. 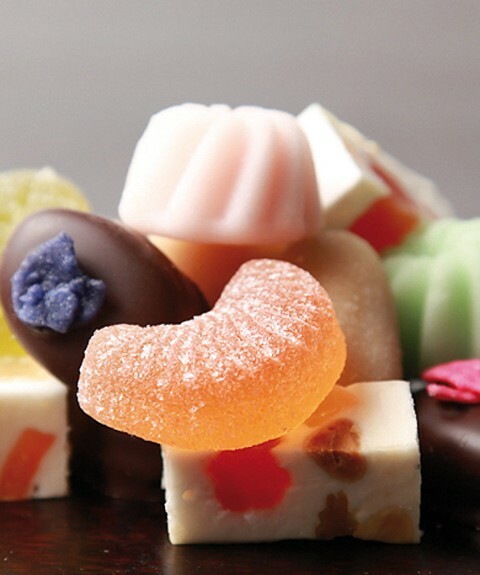 Our own chocolates together with a selection of candies such as nougat, fruit jellies and fudge to name but a few.